Cancer involves an interaction between rogue cells and surrounding tissue. This is the clear message of Dr. Mina Bissell. The health or sickness of surrounding cells and the surrounding extracellular matrix interact to shape cancer cell behaviors such as polarity, migration and proliferation. Cancer cells routinely form in most people’s bodies in areas of low voltage, low oxygen and acidic pH. Bottom line: the more that acid conditions prevail the more aggressive the cancer. Hypoxia and extracellular acidity are deeply associated with the cellular microenvironment and the spread of cancer. The direct effect of oxygen on pH on water is trivial, less than temperature variations, however the indirect effects are big. Without sufficient levels of oxygen, the cells cannot detoxify themselves, so acids build up. Without sufficient oxygen the cells turn to fermentation as an alternate source of energy for survival and this builds up acidity through the creation of lactic acid. Without enough oxygen cells turn cancerous or they die. The term "pH" is used within chemical formulas to indicate the presence of hydrogen. The "H" means hydrogen in this formula, just as the "H" in "H2O" indicates the presence of hydrogen in water — two atoms of hydrogen and one atom of oxygen. In general, an increase in hydroxyl ion concentration increases oxygen consumption. Higher pH means higher concentration of oxygen, while lower pH means lower concentrations of oxygen. Increasing pH from 4.0 pH to 5.0 pH increases oxygen molecules in a liquid by ten-fold. Each whole number increase by tenfold again, so 4.0 pH to a 6.0 pH increases oxygen by 100 times and raising pH from 4.0 pH to 7.0 pH increases oxygen levels by 1,000 times. An acidic pH can occur from an acid-forming diet that does not provide all the necessary minerals, emotional stress, toxic overload, immune over-reactions or any process that deprives the cells of oxygen and other nutrients. Normal body cells form lactic acid in general when their oxygen is cut off or their respiration is reduced. Many scientists have found that during forced bodily work the lactic acid of the blood increased. In this case the diffusion of oxygen into the muscle cells is not sufficient to cover the oxygen requirement of the muscle. Blood’s pH comes into play because CO2 concentration helps determine pH. Carbon dioxide reacts with water to form carbonic acid; this reaction is catalyzed or accelerated by an enzyme found in our blood called carbonic anhydrase. Carbonic anhydrase loses a hydrogen ion to become bicarbonate, and this in turn loses a hydrogen ion to become the carbonate ion. This chain of reactions is two-way, so carbonate can pick up a hydrogen ion to become bicarbonate and vice versa. 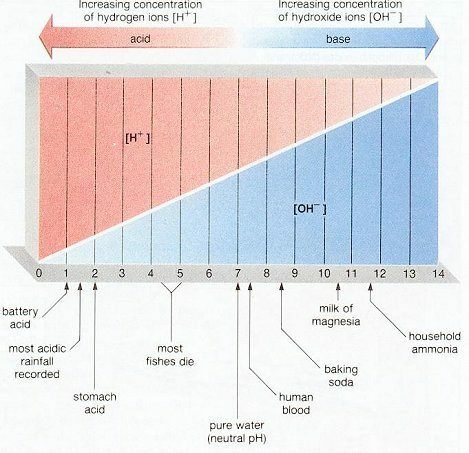 pH is a measure of the hydrogen ion concentration in a solution, so this chain of reactions plays a critical role in maintaining or buffering our blood pH. The more positive hydrogen ions in this case the less oxygen. Thus, the bicarbonate (base) is consumed (concentration decreases) and carbonic acid is produced (concentration increases). If hydrogen ions continue to be added, all bicarbonate would eventually be consumed (converted to carbonic acid) and there would be no buffering effect – pH would then fall sharply if more acid were added. However, if carbonic acid could be continuously removed from the system and bicarbonate constantly regenerated, then the buffering capacity and therefore pH could be maintained despite continued addition of hydrogen ions. A slight acidity depresses oxidation, and increasing alkalinity, even to a marked degree, greatly increases the rate of oxidation. The work of Warburg, McClendon and Mitchell showed that in general an increase in hydroxyl ion concentration increased the oxygen consumption. Consumption of oxygen in the tissues increases with increasing pH. The pH of our blood is very tightly buffered thanks to the bicarbonate it contains and to hemoglobin. That’s why the pH of our blood stays within a narrow range. Since our cells release carbon dioxide as they break down sugars, however, the carbon dioxide and carbonic acid concentration is higher in blood flowing through your tissues than blood in your lungs, where it is relatively carbon dioxide–poor. Consequently, the pH of blood in the lungs stays fairly constant at around 7.6, while the pH of blood in the tissues is closer to 7.2. This slight difference in pH has important ramifications. The most important factor in creating proper pH is increasing oxygen. If your body’s pH is not correct, because of low oxygen conditions, you cannot effectively assimilate vitamins, minerals, supplements, and food, and that is why even with a good diet it is often hard to pull out of diseased conditions. Our body’s pH affects everything including oxygen transport and delivery to the cells. Some people try to debunk the entire acid alkaline story of human health and disease saying “Because the cancer cell is producing lactic acid, does not mean that the whole body becomes acidic. In fact, the body has a very tight set of checks and balances which keeps your blood’s (i.e., body’s) pH between 7.35 – 7.45, or near neutral. It is also impossible to significantly alter one’s blood pH with the food you eat. Therefore, checking your saliva for acidity or alkalinity is not an accurate measure of your body’s actual pH balance (in the blood),” but it does give one an ideal of the state of balance of the rest of the body. 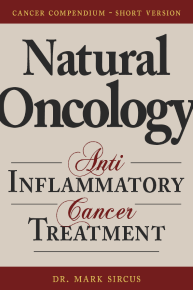 Researchers found that an increase of 1.2 metabolic units (oxygen consumption) was related to a decreased risk of cancer death, especially in lung and gastrointestinal cancers. People who are more active and exercise harder are less likely to develop cancer and die, suggests research published ahead of print in the British Journal of Sports Medicine. A higher use of oxygen consumption during physical activity is linked to a reduction in the level of illness in a person and their likelihood of dying from cancer. Cardiovascular damage. Weight gain, obesity and diabetes. Bladder condition. Kidney stones. Immune deficiency. Acceleration of free radical damage. Hormonal problems. Premature ageing. Osteoporosis and joint pain. Aching muscles and lactic acid build up. Low energy and chronic fatigue. Lower body temperature. Tendency to get infections. Loss of drive, joy and enthusiasm. Depressive tendencies. Easily stressed. Pale complexion. Headaches Inflammation of the corneas and eyelids. Loose and painful teeth. Inflamed sensitive gums. Mouth and stomach ulcers. Cracks at the corners of the lips. Excess stomach acid. Gastritis. Nails are thin and split easily. Hair looks dull, has split ends and falls out. Skin easily irritated. Legs cramp and spasms. No wastes or toxins can leave the body without first being combined with oxygen so if you are not getting enough O2 we become more toxic. The more toxins the less oxygen, the less oxygen the more acidity and the more toxicity builds up. It is widely accepted scientifically that a body with too many accumulated waste toxins and acids is unhealthy and often painful. As readily seen – and felt – an example of this is when we become sore after exercise. This soreness is entirely due to the over-accumulation of lactic acid in our muscles. It’s just waiting to be removed. In a few minutes, hours or days the body marshals its resources and buffers the lactic acid – and the soreness goes away. Cancer causes an over-accumulation of lactic acid around the cancer site that causes other nearby cells to become aberrated. Some remove this cascade of advancing acid-fueled cancers by increasing alkalinity and this is easily done with sodium bicarbonate. Warburg’s work clearly demonstrated that cancer is, fundamentally, a relatively simple disease where cell oxygen levels fall to a level sufficiently low enough for the cell to change in nature. Without a dependable supply of oxygen, the cells in our bodies cannot function properly. Nutrients in our diets must have oxygen present to convert their potential energy into usable energy. For new cells to be formed, hundreds of amino acids must link together using oxygen as the source of their energy.